2015-16 The International Years of Lucifer’s Light. 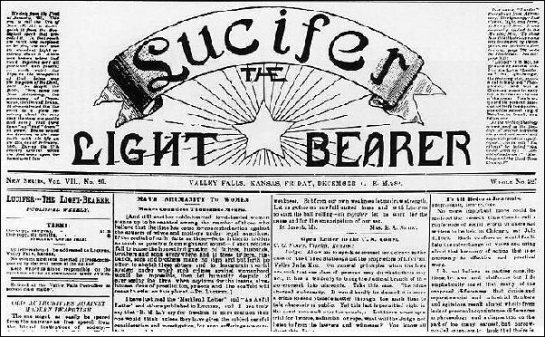 2015 – 2016 were titled The International Years of Lucifer’s Light! What was going on? 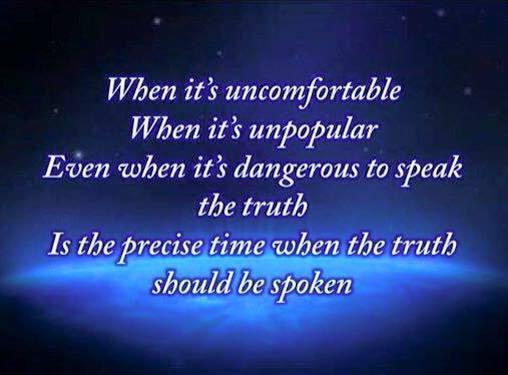 Religion – Which one is true? Please see my TV interview below where we discussed Luciferianism’s role to unite all religions! Either all paths lead to God, or they don’t. Which one is really the TRUTH? How will you answer this question? Please choose now. Otherwise you risk believing in the ‘new one world religion’, coming soon, and endorsed by world leaders and top scientists! 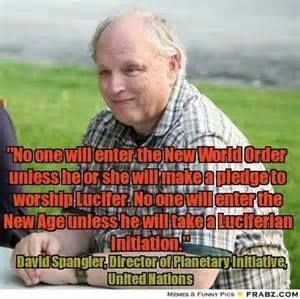 David Spangler, top New Age Medium and Luciferian. United Nations. A one world religion, how is that possible? Isn’t it strange? Many religions contradict each other. So how can they all serve this same god Lucifer? Unless he is the god of lies … Lucifer, AKA Satan, the Father of Lies, just as the bible describes him to be. Those who believe in Lucifer say all religions and spiritual paths lead to God. Jesus says He is the only way to God. So who is right? There are no shades of grey here. It’s either black or white. Lucifer or Jesus. 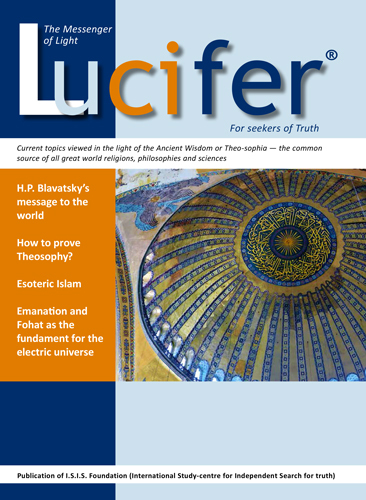 Lucifer – the magazine by the Lucis Trust, who are linked to The United Nations. A revolution won’t help! We are dealing with spiritual warfare issues and sadly about 98% of Christian churches are blind to it all. A spiritual revolution, or revival is required. The bible says that in the Last Days, satan will deceive many and pull them into even deeper darkness. But at the same time, for those who walk intimately with Jesus, His light will shine even brighter. Christ’s power and light will become so strong in us, that more miracles will abound, we’ll see more sick healed, we’ll cast out more demons, so that even some Luciferians and elite occult leaders will come to Jesus! Please wake up guys Lucifer is actually Satan! Don’t fall for his lies. It’s tragic, but those who embrace Lucifer’s ‘spiritual love, peace and unity,’ will be lost. Please ask yourself, if the claims of Jesus Christ are TRUE, and the Book of Revelation is TRUE, where are you going? Even atheists, agnostics and the media are saying world events are playing out the Book of Revelation right now. Words like Apocalyptic are used in headlines. If you ask Jesus into your heart today, you have nothing to lose and everything to gain. (See a prayer on this LINK). I wasn’t raised in the church. I was into the occult and also sampled from a wide range of religions, so I’m not writing as a Christian who has had no experience of such things. Supernatural attacks came and it was ONLY Jesus who set me free. Please see my BLOG for true stories from me and many others. Not trying to be patronising or arrogant here. I’ve been on both sides spiritually, the darkness and the light. The light is far better. No one can love and protect you for eternity like Jesus can. Please choose Jesus today. You won’t regret it. Choose eternal life. Choose heaven as your destiny. Please don’t follow Lucifer’s coming NEW ‘religion’ – it promises peace but comes straight from hell. It’s eternal destination is also hell. The Vatican and some leading scientists say there is information coming “from another world,” that will cause us to rethink the gospel. I was also taught this when I was a New Ager, that the masses, whether atheist, Christian, Catholic, FreeMason, Spiritualist, Muslim, Hindu, or Jew would unite spiritually under Lucifer. We were taught indeed everyone would unite spiritually under Lucifer, except a minority and except some of the fundamental born again Christians. I was taught this information about global spiritual peace and unity would come from aliens, gods, multidimensional beings, spirit guides, light beings, etc. But I now know, from bitter experience, they are actually fallen or demonic evil angels, as described in the bible. Remember, it’s always been their role to deceive humanity and entice people away from salvation in Jesus. Interestingly, Luciferians are pushing this agenda too. Please see my blog article on Luciferianism and their belief that Lucifer (Satan), is god. Is it no wonder they want the entire world to rethink the Gospel of Christ and the bible? 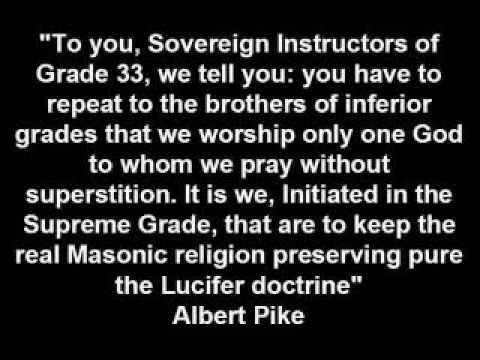 It’s no surprise to many of us who were taught this about Lucifer, aliens, etc, when we were still in the occult. We knew that ‘aliens’ other beings, etc, would come to teach and rescue mankind! But the bible says in the Last Days, many will be deceived and follow doctrines of demons and ultimately the AntiChrist. 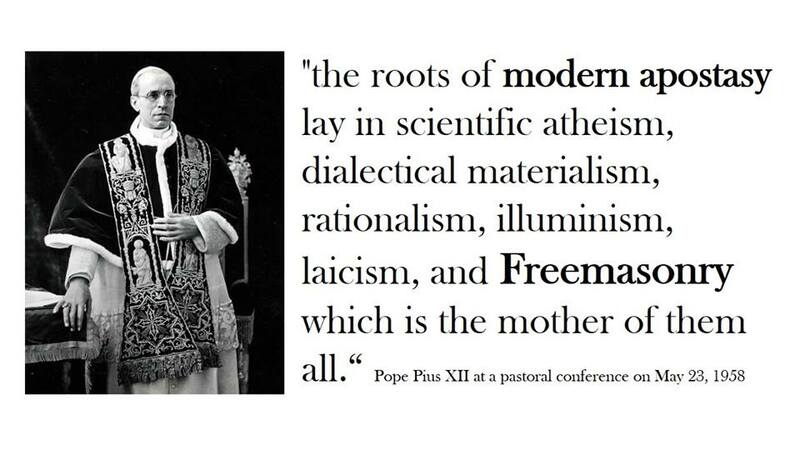 Please research teachings of Catholicism closely. 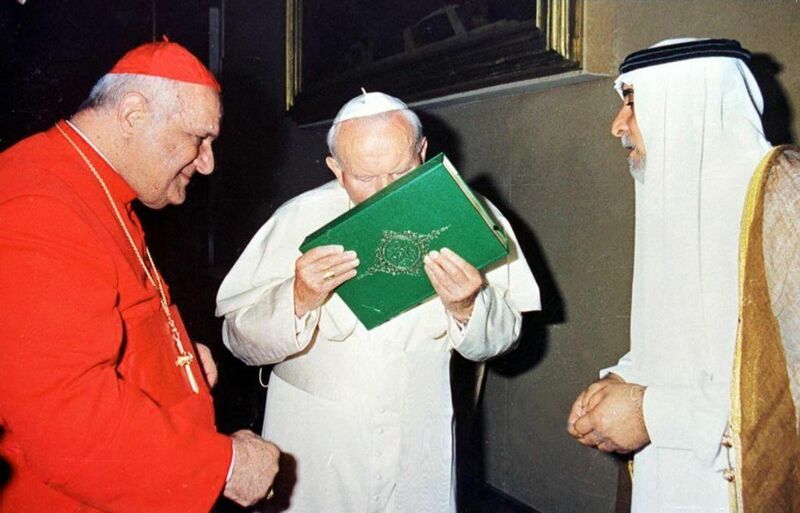 They teach that Catholics and Muslims worship the same god. That Allah is the god of the Old Testament. There are top Catholic leaders who claim Lucifer is still an angel of light and did not fall and become Satan as the bible describes. There are even Latin hymns sung to Lucifer in some Catholic churches. 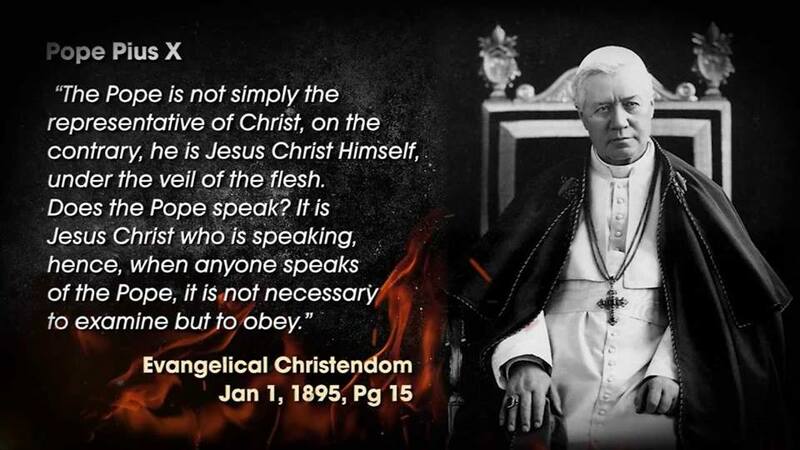 Popes teach people not to doubt anything they say! Why do you think historically some Catholic leaders banned the bible from their churches? Some still ban it today! Pope Francis was a Jesuit. Jesuit Priests believe in aliens and beings from other worlds. They don’t accept the biblical truth that these beings are demonic. Whether you use the word demon, fallen angel, nephilim, demon-creature hybrids, etc, these beings all originate from satan. How can we be sure they come from satan? The test is easy – they all have proven to vanish when banished in the name of Jesus Christ! Look at my articles on ‘alien abduction’, ‘spirit guides’, false gods and other apparitions and how they ALL flee at the mention of Christ’s name. Maybe you don’t believe in satan, the antichrist, aliens, etc, but the Luciferians do and they are behind the New Age Movement and the bringing together of all religions under Lucifer. I used to believe all that when I was a New Ager and Spiritualist, as we were taught it by so called ‘Angels or Spirit Guides’, AKA demons or fallen angels. 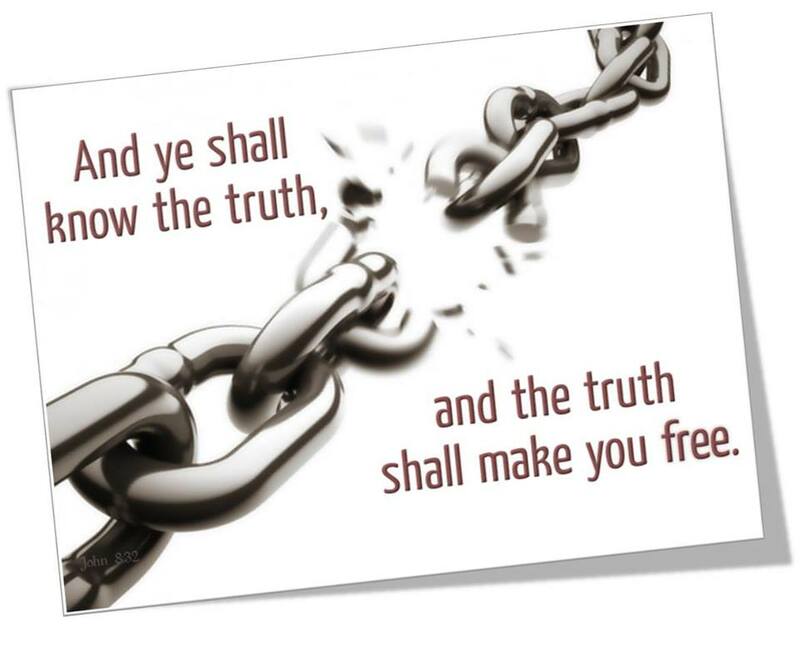 But thank God, I found the Truth, and the Truth set me free. The bible predicts all of this. 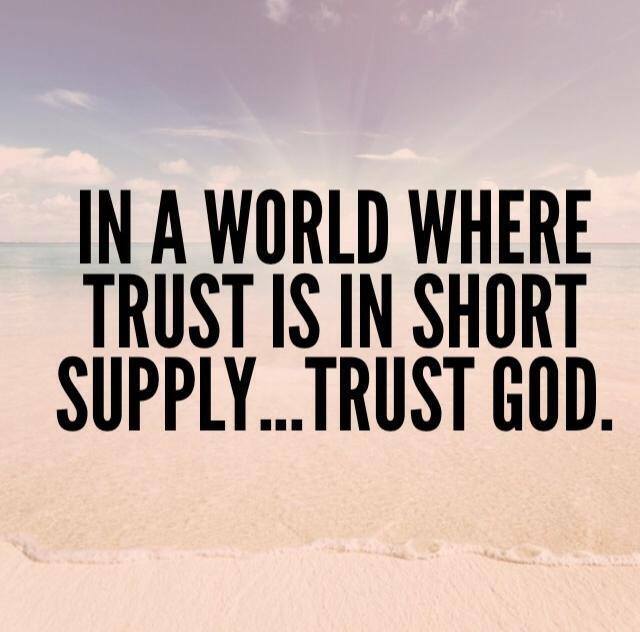 So, it’s really no shock to God. Our only refuge is in Jesus Christ. Without Him, people will not be able to cope with what is coming in the years ahead. Those who believe in Lucifer say all religions and spiritual paths lead to God. Jesus says He is the only way to God. So who is right? There are no shades of grey here. It’s either black or white. Lucifer or Jesus. 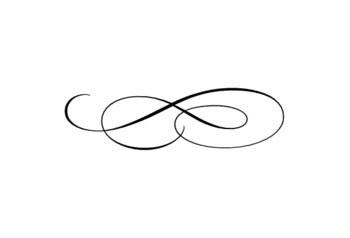 Eternity is a long time. Please don’t accept the pledges and oaths of Lucifer’s new religion. (See my article on the Luciferian Invocation, that is actually declared daily in the UN). Please choose wisely and open your heart to Jesus today! If you have never asked Jesus into your heart to be your Saviour, you can say a prayer like this : Salvation Prayer and God’s Love Letter to YOU. … If God is for us, who can ever be against us? Since He did not spare even His own Son but gave Him up for us all, won’t He also give us everything else? … Can anything ever separate us from Christ’s love? Does it mean He no longer loves us if we have trouble or calamity, or are persecuted, or hungry, or destitute, or in danger, or threatened with death? … No, despite all these things, overwhelming victory is ours through Christ, who loved us. And I am convinced that nothing can ever separate us from God’s love. Neither death nor life, neither angels nor demons, nor rulers, neither our fears for today, nor our worries about tomorrow—not even the powers of hell can separate us from God’s love. 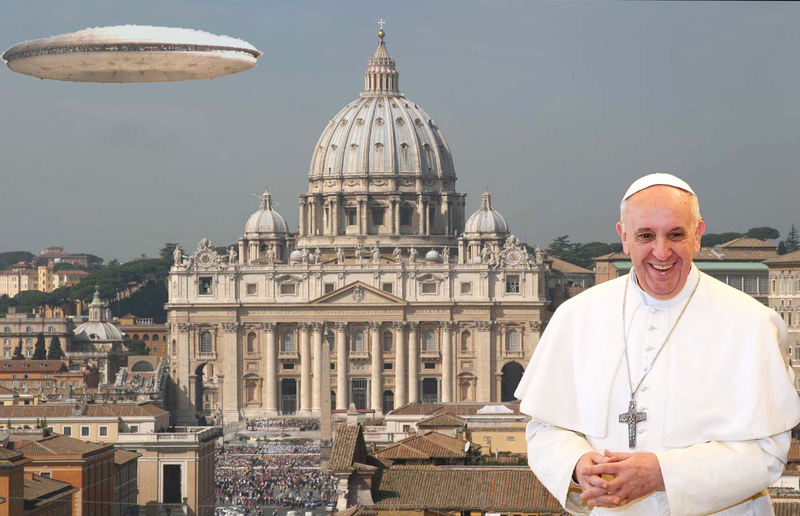 See also – Pope To Announce Alien Contact in 2015 – The Year of Lucifer’s Light? Please see my TV interview where we discussed Luciferianism’s role to unite all religions! For Original Articles – Please See This Link.